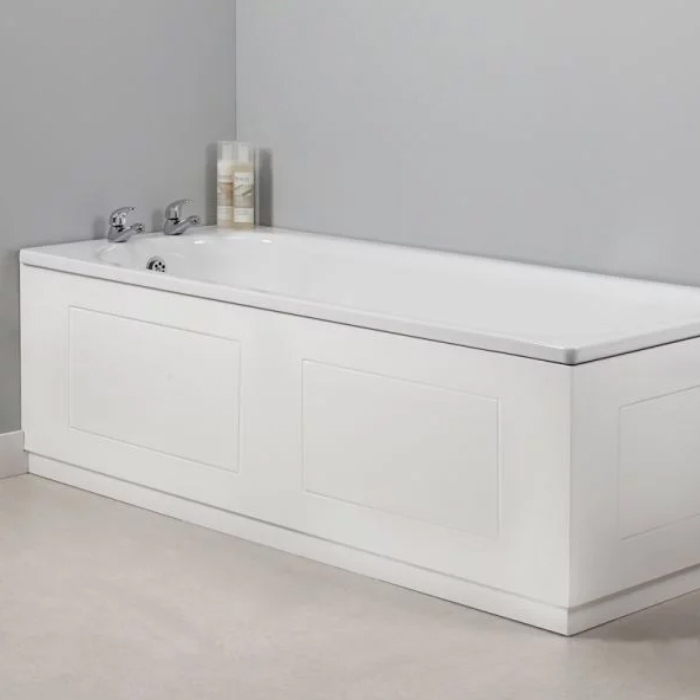 The Tavistock Meridian MDF Front Bath Panel 520mm H x 1700mm W - White comes from the exciting model from the Meridian collection of Bath Panels. Sublimely simple and fully flexible, the Meridian bath panel is the perfect finishing touch for your bathroom, especially if you have the Meridian furniture. Supplied complete with an exceptional 1 year guarantee for total peace of mind, you can be assured that you are receiving an item of the highest quality.